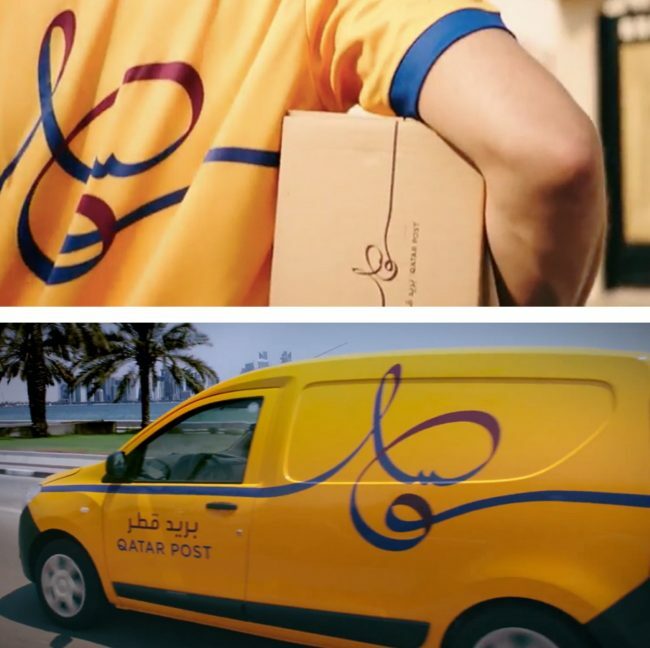 Tarek Atrissi Design was commissioned to design the new logo of Qatar Post, as part of the rebranding of the National postal service of Qatar: a much needed change for an identity that was outdated for years and that needed to be replaced with a fresh styling. The new logo design is a simple Arabic lettering solution illustrating the concept of “modern life, delivered”. It is a based on a simple design of the Arabic word “Qatar” rendered as an endless ribbon that bridges distances and makes connection. The crafted logo was a result of a long process that involved hundreds of sketches exploring various trials in Arabic Calligraphy, hand made lettering and typographic experiments; aimed at reaching a balance between good legibility and effective visual representation of the concept. This commission gave us at Tarek Atrissi Design another opportunity to design a highly visible project in the Middle East: some of the most rewarding brands we have designed are the ones that managed to become part of people’s daily life; the designs that became a familiar icon in the urban visual landscape. 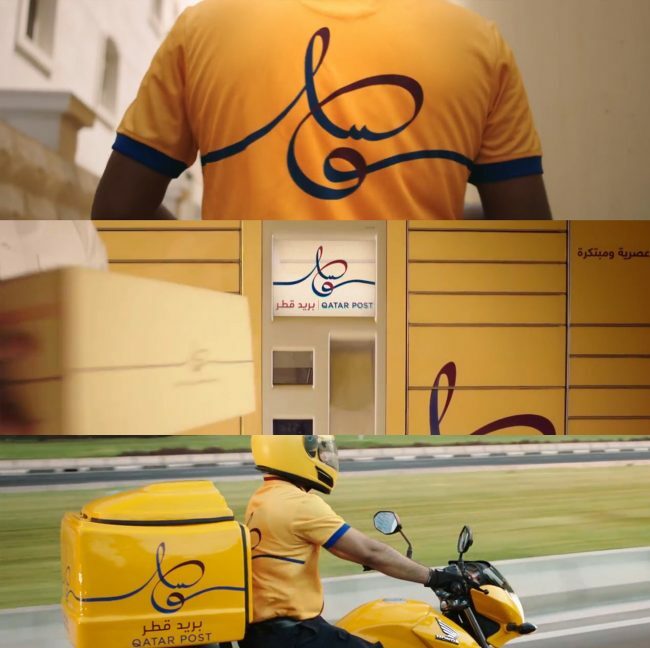 The logo design for the national post is currently one of the most visible brands in daily life in Qatar, as it can be seen on all kind of transport vehicles, on the many main shop locations and various touch points of the brand across the country, and of course on every delivered package locally and internationally.